Dogs | Welcome to the Survivor Tails Animal Rescue blog! During wintertime, it is not always easy coming up with activities to keep your dog happy and active. Temperatures drop below freezing, you have to deal with rain, snow, and sleet as well as concerns about the chemicals used on the sidewalks to melt the snow hurting your furry friend’s paws. Keep reading for some tips on entertaining your dog and helping them release some energy during the winter. Although these tricks are not very demanding physically, they require a lot of mental energy from your dog so they are a great winter activity that can be practiced indoors. Remember to limit your training sessions to about 15 minutes so that it stays fun for you and your dog. Practice these tricks daily and your dog will be fully trained by spring time! If your dog is good with other dogs, it’s always good to put a playdate in the calendar. Just as with kids most dogs like to socialize and will even correct each other while playing, making it easier for you to supervise. If playing indoors, make sure that they have enough space to play safely. If outdoors, make sure it is not too cold and that they have an appropriate place outside where they can run and play, such as a fenced in yard or park. Bring some toys and let the fun begin! Remember, all dogs play differently so be sure to use your best judgment for your pet. Unless the temperatures drop below zero, it’s okay to take your dog outside for short periods of time. Most medium and large dogs can walk outside for about 30 minutes as long as the temperature is above 20 degrees F and they are in good health. If your dog is on the smaller side, limit their outdoor exposure to 20 minutes and consider buying them a coat and protection for their paws. For pups who don’t like wearing little booties, try a dog-safe gel that can be applied to paws to help prevent cracks and bleeding. Hurtta has an amazing collection of coats for dogs for all types of weather! Winter is the perfect time for an indoor agility or swimming class. There are plenty of classes for dogs who have never swum before as well as advanced swimmers. Just as with humans, swimming is easy on their joints, so it is perfect for senior dogs or those with arthritis. A new class such as agility will also provide a mental and physical stimulation for your dog, making it the perfect activity for dogs with plenty of energy! There are many great resources in the Boston area, but a quick online search for your area will yield other options for swim classes, doggy daycare, agility classes, and more. The Red Dog Pet Resort: Swimming classes for all dogs in Saugus and Boston. Doggie Fun and Fitness: Classes, daycare, and training. K9 Top Performance: Training, camp, boarding, and daycare. Boston for the Dogs: Walking, hiking, training, and play groups. Click here for more paw-some resources. There are so many ways to make mealtime fun for your dog. You can grab a treat dispenser or a food puzzle that your dog has to solve in order to get his reward. Make sure you purchase high-quality toys that your dog cannot tear apart — you want to keep them safe and entertained when they’re home alone. And remember, all dogs have different chew strength and habits, so always buy the size and durability appropriate for your dog. Kongs are very popular and have proven themselves with dogs of all sizes! As an added bonus, food toys and puzzles slow down your dog’s eating pace, keeping him or her safe from gastrointestinal conditions. Ordering from Amazon? Make sure you put Survivor Tails as your AmazonSmile charity! We know the weather can make it tough, but keeping your dogs happy and active in the winter is very important. Do you have any winter activities that you like to do with your dog? Let us know in the comments! As summer ends and the kids head back to school, it is important to think about the 4-legged children in your life too! Dogs and cats need routines just like human children, and transitioning back to a different schedule — one that includes more alone time for them — can be tough. The best way to avoid anxiety and possible behavioral issues is to have a plan in place to help your dogs and cats ease back into the fall and coming winter seasons. By now you know when your kids will head back to school (if they haven’t already). With that in mind begin preparing about a week (or two) before departure date to help everyone adjust. Get up earlier as you do during the school year to help your pup adjust to the new schedule. Try to keep the rest of your pet’s routine as normal as possible with regular walks and feeding times. If feeding times change during the school year, start adjusting to the new times a week or two before so they don’t feel too many changes all at once. Days can feel long and lonely, especially for dogs, when they have been used to human companionship. A morning walk or playtime in the yard is good bonding time and will help your pup get out some energy. During the summer the days are longer and more people are around, which means more play time, walk time, and fun time. Once the school year starts, dogs and cats spend more time alone and get less exercise. Make sure you are keeping up with your dog’s exercise needs. Bored dogs can gain weight and develop behavioral issues; it is not uncommon for dogs to “act out” once the kids are gone all day. Dogs need exercise and mental stimulation, so be sure to keep them active even when schedules change. While cats have a reputation for laziness, they do need exercise and stimulation as well, so don’t overlook their need for playtime. Make sure your pup gets plenty of exercise before and after school! A morning and afternoon walk or appropriate play time in the yard or park are often enough to keep man’s best friend happy. If you have a very active dog who needs lots of exercise and attention, consider a mid-day dog walker or doggy daycare to keep your pup busy and healthy. Animals are sensitive, sentient creatures. They can sense changes and feel stress just like us, so remember to factor your faithful feline and canine companions into your changing routines. Stressed, scared, or anxious animals can exhibit less than desirable behaviors — not because they are trying to be difficult, but because they are trying to express themselves. Stressed animals can bark, cry, pace, house soil, or becomes destructive. Cats need playtime and stimulation too! While it would be easier If they could verbalize, if we pay attention, we can understand that they are communicating with us in different ways. Think about how you can minimize stress for your pet while you are away. Puzzle toys or food puzzle can provide great mental stimulation for bored dogs. Soft music or quiet TV in the background can also help animals feel less alone; remember they are used to hearing noise and voices most of the stay. Stick with softer music choices and quiet television programs (think HGTV, not Cops) to help comfort. Remember, don’t select sounds that are overstimulating, which can agitate your pet. While it is harder for us humans, it is easier on our pets if we minimize the drama involved in our departures and arrivals. When you leave in the am, make sure your pets are set up for the day, say goodbye, and go. Remind your kids that over-the-top farewells can actually upset your dog or cat who will anticipate that you are leaving. When you arrive home, greet your dogs and cats with love and affection without going over the top. When you are home, make sure Fluffy and Fido get plenty of attention and tons of treats! Try to keep the rest of their routine as regular as possible so that they don’t feel overwhelmed. Ensure they are happy and safe by petting them, snuggling with them, playing with them, walking them, and talking to them. Reduce back-to-school stress with proper transitions, regular routines, and appropriate playtime. Remember, slowly transitioning back to the school routine, rather than lots of changes happening all at once, can help reduce anxiety in dogs and cats who have gotten used to having their pals around all summer. Independence Day is known for sun and fun — barbeques, pool parties, and fireworks. But did you know that the 4th of July is a really scary holiday for pets? In fact, more pets go missing on the Fourth of July than any other day of the year! That is because the loud, overwhelming noises and unfamiliar surrounding can be terrifying for dogs and cats. Here are some safety tips to help you and furry friends to have a happy and safe holiday. The best first step to a happy holiday is to be prepared. Fireworks might be fun for you, but the loud noises are terrifying for many animals, especially dogs. While you are celebrating, chances are your dog is panicking. If you have an indoor/outdoor cat, make sure that they are chipped and are wearing a break-away collar with identification. Better, yet, keep cats inside on and around Independence Day for their own safety. For their own safety, keep dogs and cats indoors during cookouts and fireworks. Allow them time to enjoy the great outdoors before the festivities begin. When letting your dogs out, be sure that your yard is fenced securely and/or that your animal has on a proper harness and leash. When frightened, the “fight or flight” instinct takes over, and many dogs take off, attempting to run to safety. Never leave dogs outside unattended, even in a fenced area. If your pet does go missing, don’t panic. Follow some simple steps to help get him or her home safe. Lost Dogs of America has multiple resources devoted specifically to Fourth of July. If you plan to attend some cookouts or parties on the Fourth, it might be a good idea to leave Fido or Fluffy at home. As mentioned above, unfamiliar surroundings, lots of new people, and loud noises can be super scary even for otherwise calm dogs. Plus, there will be plenty of food and snacks around. While we all want to spoil our pups, too much of a good thing is a bad thing. Too many treats and table scraps (often from well-meaning friends and family) can lead to an upset stomach and diarrhea. And, many common foods are actually toxic to animals. And, many common foods are actually toxic to animals.]. With so much going on, it can be tough to keep a constant eye on your pooch, which is why sometimes dogs simply wander off. If you have a chill dog who does well at parties, be sure to keep a close eye on them at all times, ensure they have access to fresh water and shade, keep them securely leashed, and make sure they don’t get too many treats! If you do leave your dog(s) at home, make sure that they are safe and comfortable. Be sure they have plenty of fresh water and AC or fans to keep them cool. Nervous dogs pant and pace so they need be kept well hydrated. Be sure your pets have plenty of fresh water and access to shady areas when they are outside. When indoors, fresh water and fans are a must! Consider leaving the TV or music on to help drown out the scary noises outside. Many people find success with crating their dogs or confining them to a safe, escape-proof room. Be sure your pup has access to their favorite bed or cozy spot. For example, one of my dogs finds solace under our bed, so we let him “hide” there where he is most comfortable when he gets nervous. There are plenty of herbal calming treats available with natural ingredients such as chamomile and lavender that can help dogs relax during scary times. In extreme cases, talk to your veterinarian about medication or holistic treatment options to help keep your dog or cat calm over the holiday season. Compression vests, such as the Thundershirt or similar, can also be very helpful for calming anxious or fearful dogs. If you have an animal who is especially terrified of firework festivities, consider staying home with your furry friend. As the saying goes, a tired dog is a good dog, so plan ahead. During the day, take your dog for a nice long walk, go to the park, or have a playdate. Letting your dog(s) run around, play, and romp during the day is a great way to ensure they will be tired later on. To help your dog relax during fireworks, be sure to exercise them earlier in the day so they can run around and get out some energy. This will ensure they are tired later on in the evening. As the evening approaches, make sure your dog eats dinner and uses the bathroom before the fireworks and festivities begin. If you plan to administer calming medication or treats to your pets, always follow instructions and allow time for them to kick in. Be sure to keep windows closed (especially if you leave your pooch home alone) since open windows let in more noise and insect screens will NOT contain your pet. Dogs and cats can easily escape from open windows. Turn up the TV or soothing music and snuggle on the couch with your favorite buddy and let them know they are safe. Although Independence Day is technically only one day a year, people tend to celebrate for a week or so before and after. So be sure that you are adequately prepared to keep your dogs and cats happy and safe during this holiday season. You might be thinking about a special person in your life this month, but February is also a time to think your pets! In addition to Valentine’s Day, we’re also celebrating National Spay/Neuter Awareness Month. If you haven’t already, this is a great time to take your pet in to get spayed or neutered. And if you’re wondering whether or not you should, here are five reasons why it’s important. According to the Humane Society, between six and eight million animals enter shelters every year. While about half of those will end up getting adopted, the rest are tragically euthanized. It’s clear that pet overpopulation is a big problem! When responsible pet owners spay and neuter their pets, they are working to solve that problem. 2. It’s good for your pet’s health. Spaying and neutering can reduce the risk of certain health conditions. For example, spaying female pets before their first litter can help to prevent uterine infections and breast tumors, while neutering your male pets can prevent prostate problems (see ASPCA). This article from USA Today lists spaying and neutering as one of the key factors related to longer life spans in pets. While some pet owners may shy away from the cost involved in spaying or neutering their pets, it really does save money in the end. If your pet is healthier, you’ll have fewer vet bills. Treating the type of health problems mentioned above can get expensive, so avoiding them is going to be good for your wallet. Caring for litters of puppies and kittens can be also be costly. Fortunately, there are lost cost spay and neuter programs all over the country. Check out this Humane Society page for an easy provider search as well as some suggestions for what to do if you can’t find an affordable option in your area. 4. It can prevent bad behavior. Some unsavory pet habits are less often seen in spayed or neutered pets. These include the tendency to mark territory by spraying urine all over, mounting other pets or people, roaming, and aggression (see ASPCA). Of course, spaying or neutering won’t completely solve all of these problems, but it can go a long way toward preventing them. 5. It’s good for your community. Pet overpopulation isn’t just bad for the pets who end up getting euthanized, according to this WebMD article. It’s also bad for the community. Stray animals living on the streets can cause all sorts of problems, from property damage to car accidents. Seeing that your pets are spayed or neutered helps reduce the number of animals that wind up as strays. Show your love for your pets, your community, and domestic animals everywhere by spaying or neutering your pets this month! What Are Pets Good For? 5 Reasons to Adopt a Pet. The 2015-2016 APPA survey indicates that 65% of U.S. households include a pet. Ever wonder what all the fuss is about? Whether you’re seriously considering getting a pet, or just curious about why so many people do, here are 5 reasons that explain exactly what pets are good for. 1. Pets are good for your heart. Really, they are! According to the CDC, owning a pet can result in lower blood pressure, cholesterol levels, and triglyceride levels. Why? Probably because pets tend to have a calming effect on their owners, helping to combat stress, and because pets can help you stay more active. If you want to know more, check out this article from Harvard Healthy Publications. 2. Pets are good for helping you lose weight. You wouldn’t mind losing a few pounds, but you know you don’t exercise enough. Sound familiar? Owning a pet, especially a dog, can be a great motivation to get up, get outside, and get moving. This article from Weight Watchers notes a study that showed participants who walked as little as 20 minutes a day, five times a week, lost an average of 14 pounds! 3. Pets are good for your social life. Want to be more social? Pet ownership not only gives you an instant animal pal, but can help you make more human friends as well. 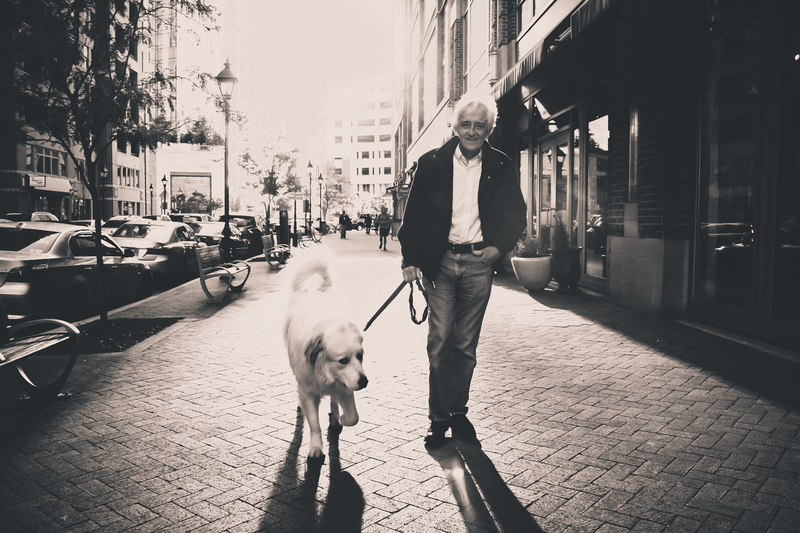 For example, one study found that pet owners were 60% more likely to get to know people in their neighborhood! Just taking your dog for a walk can be a great way to meet new people and any kind of pet gives you an instant conversation starter. 4. Pets are good for your mental health. If you ever feel stressed out, anxious, depressed, or lonely, having a pet can help to relieve these negative emotions and improve your overall mental health. Partially, for all the reasons listed above, like getting outside and being more active, but also because of the hormone oxytocin. Oxytocin is released during physical contact and plays a big role in human relationships, causing us to feel more relaxed, trusting, and psychologically stable (PyschCentral). But did you know that interacting with your pet can also increase your oxytocin levels? For more on the psychological benefits of pet ownership, check out this Psychology Today article or this one from Huffington Post. 5. Pets are good for your children. Have your kids been begging for a pet? There are plenty of reasons to give in. Not only can your children enjoy all the above benefits, but there is research that indicates having pets in the home actually reduces your child’s risk of developing some types of allergies. Is your child learning to read? Pets also make great reading buddies, since kids may feel more relaxed reading aloud to a pet than to an adult. Pets are great for all these reasons and so many more! If you live in Massachusetts or New Hampshire and are considering fostering or adopting a rescue animal, visit our website to learn more about Survivor Tails Animal Rescue. If you live somewhere else, we encourage you to seek out shelters and animal rescue organizations in your area. There are many, many healthy, loving animals just waiting for a good home! Of course, pet ownership may not be for everyone. Next week, we’ll be talking about things to consider before you adopt, so keep watching for that! In the meantime, if you already own a pet or are seriously thinking about getting one, take a moment to comment and let us know what you love about pets! Thinking about getting a pet? There’s no better way to bring a four-footed friend into your home than to adopt one in need! When you adopt through Survivor Tails Animal Rescue, or another rescue organization, you are saving a life and helping to offset the problem of overpopulation in America. Bullseye is a three-year-old Pit/Beagle mix who is great with people, children, and other dogs! His former owner loved him very much, but got into a situation where she could no longer care for him. Now he’s looking for a new home and a family to love! He weighs about 45 to 50 pounds and is good on a leash and in the car. You can check out his profile at RescueMe.org. Lily is a Tiger Cat who enjoys head scratches and naps in warm places. A stray on the streets outside Boston, Lily was found when she had a litter of kittens in someone’s backyard. A kind stranger took the family into their home, but now that her kittens are growing up, Lily is ready to find a forever home of her own. She has been diagnosed with Feline Immunodeficiency Virus (FIV). While cats with FIV can live long, healthy lives, Lily would be best as an only cat. If you think you might like to give this sweet kitty a home, check out her profile on RescueMe.org. These are just two of the hopefuls waiting in Survivor Tails’ foster homes for a second chance at life. You can see more adoptable rescue animals at RescueMe.org and PetFinder.com. You can also check out our Facebook page for information about newly rescued animals and to find out more about what we do at Survivor Tails Animal Rescue. 2.4 million healthy, adoptable pets are euthanized in shelters every year (Humane Society). Here at Survivor Tails Animal Rescue, we work with volunteers and communities to rescue cats and dogs from this fate and place them in loving homes. If you would like to get involved, here are seven ways you can make a difference today. 1. Foster a rescue animal. Mattie is one of the many pets currently available for adoption. If you are in the states of Massachusetts and Connecticut, you can become one of our foster families. Since we have no shelter, we rely on our incredible fosters to care for the cats and dogs we rescue while they wait to be placed in their forever homes. Fostering a rescue animal through Survivor Tails is free, aside from food and toys, and we ensure that every animal is fully vetted and spayed or neutered if of age. You can learn more about our foster program or fill out an online application by visiting our website. 2. Adopt a rescue animal. For individuals or families who are ready to welcome a pet into their home permanently, you can save a life by adopting a rescue animal. Visit our Adopt page to learn more. 3. Volunteer with Survivor Tails. In addition to fostering or adopting animals, we always need people who are willing to help out. From processing applications to assisting with animal transportation, there are plenty of ways you can be a part of Survivor Tails. Click here to find out more or to fill out an online volunteer application. 4. Donate to Survivor Tails. Each rescue comes with many financial costs, such as pull fees, transport, vetting, fixing, quarantining, training, and more. Since the money we receive from adoption fees does not always cover these costs, we depend on the generous donations of our supporters. Each donation helps us to save more lives. You can donate by visiting our website. 5. Shop from our Amazon Wish List. Purchasing one or more items from our Amazon Wish List is a simple, but significant way to help us keep the animals we rescue safe, healthy, and happy. The list includes items like toys, leashes, treats, and bedding. Whatever your price range, your gift will go to help an animal in need. 6. Come to an event. You can support Survivor Tails and meet some of our great volunteers and supporters by attending one of our community events. We don’t have an event on the schedule for the next few weeks, but you can watch for future events by periodically checking out our Facebook Events Page. Finally, the easiest and quickest way you can get involved today is to share our mission with friends and family on social media. Like our Facebook page. While you’re there, check out some of our recent posts and share one or two with your friends. Follow us on Twitter and like or retweet some of our tweets. Visit the About page on our website and scroll down to the Press section. Read and share one or more of the news stories that have been written about Survivor Tails. As a volunteer-only organization, we know the value of each person who decides to get involved. Whether your contribution is time, money, or a loving home for a rescue animal, there is something that you can do today to help us save lives and combat the problems of animal overpopulation.